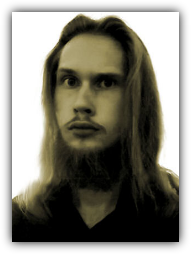 I’m Jukka Lavonen, the founder of CoolBasic Organization, a game developing community that thrives from our very own game developing tools, including the CoolBasic programming language for easy game making. I’m a professional programmer in Microsoft technologies (including Windows Presentation Foundation and Silverlight), but my heart has always been close to game making. Several years ago, something that was supposed to be an A.I scripting game, evolved into something much greater, no less than a full-featured programming language, CoolBasic. The journey has been quite long with its downs and ups, but we’re now going forward like never before! My job within the Organization is the upper management in addition to technical programming. I’m specialized in compiler technologies and virtual machines, but I also have several years of experience as a professional web developer. I also like creating computer graphics.